Upon your arrival at Noi Bai Airport, our guide and private car will be waiting for you and ready for a drive to your hotel. Check in. Your hotel room is available from 14:00. After freshening up, it will be time for a comfortable body massage. In the evening, enjoy a welcome dinner at one of the finest local restaurant with culinary delicacies of Vietnam. Enjoy your breakfast at hotel before heading to Ky Son Village. 10:00: Arrive at Moon Garden Home in Ky Son Village. Enjoy welcome drink with local fresh green tea. Then you are free to discover the garden and the village by yourself (local market, kindergarten). After that, join in a cooking class, try your skill on cooking your lunch and enjoy your dishes. In the afternoon, enjoy hand spa: have your hands dipped in a fragrant lime bowl and relaxed by traditional herbal hand massage. Then, free time for relaxing. You can talk with your host family about local cultures, and learn about traditional customs while tasting local drinks and some of the local snacks or traditional desserts. If you are keen on Vietnamese, family members can teach you. 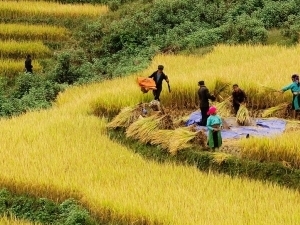 -Short ride: Ride through Ky Son, Tam Son, Van Minh, and Cham farming communities. -Long ride: Ride through Ky Son, Tam Son, Van Minh, and Cham farming communities, then continue to Duong Lam ancient village passing Mia Pagoda, Mong Phu Communal House... then ride back along the ritual paths of Thang Thac Village to visit Ngo Quyen Tomb and Phung Hung Temple. Late afternoon, return to the Moon Garden. Having steam bath before dinner will make your meal more palatable. Before bedtime, enjoy your foot bath in warm water with ginger, salt and moonwort medicinal herbs, which brings you a deeper sleep. In the morning, join traditional yi-jin-jing exercises and then have breakfast. After that, enjoy your free time: You can relax on the hammock in the garden, take pictures with Vietnamese traditional clothes, chat with local people, or further discover about Ky Son village and the surrounding area. 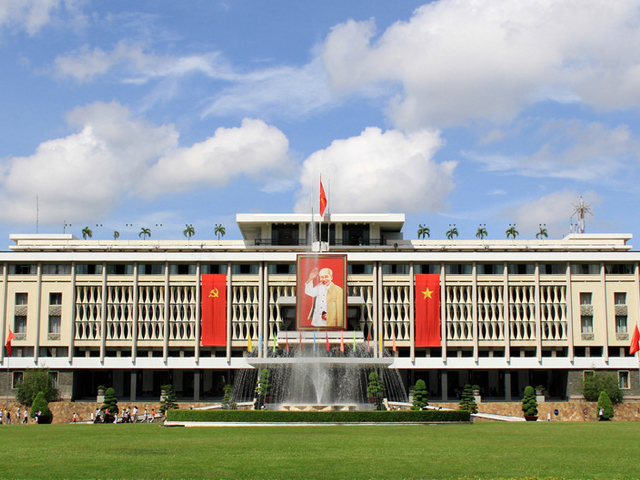 In the afternoon, leave Ky Son and drive back to Hanoi for a half day sightseeing tour. Visit the Temple of Literature - the first university of Vietnam. After that, walk around Hoan Kiem Lake and get on a private electric car to discover the Old Quater and its streets. Meals on your own. Overnight at the hotel. 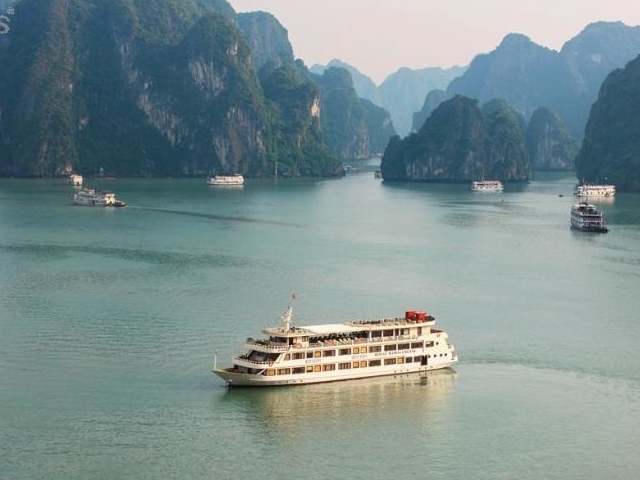 Leave Hanoi this morning and head straight to Halong bay a stunning UNESCO World Heritage site with its 3,000 islands of towering limestone dotting the bay and Gulf of Tonkin (180km – 3.5 - 4 hour driving). 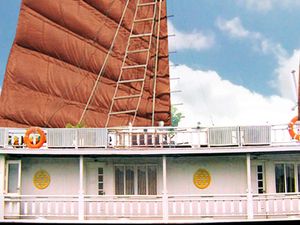 After arriving at noon, you will board a beautiful boat for an overnight cruise on Halong Bay with an excellent menu of fresh seafood. Lunch and dinner are served on boat. Overnight on board. 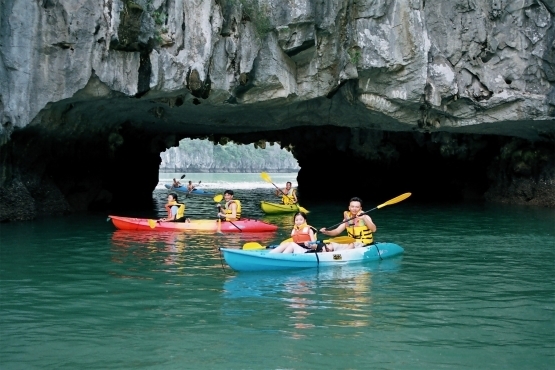 After breakfast, spend more time to explore the amazing natural beauty of Halong Bay and can join some activities such as swimming, kayaking, fishing, visiting floating villages or sun bathing. Lunch and dinner will be served on boat. Overnight on board. Wake up early in the morning to enjoy sunrise and do tai-chi exercises. 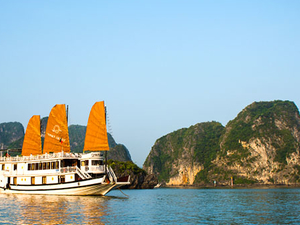 After tea break, the boat continues to cruise quietly through spectacular limestone formations of Halong Bay. 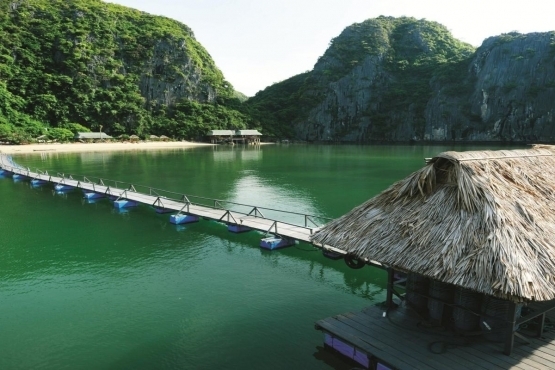 Return to the wharf in Ha Long after lunch for transferring directly to airport in Hanoi for your next flight to Da Nang. Upon your arrival, our guide and private car will be waiting for you and ready for a drive to your hotel in Hoi An. Meals on your own. Overnight at the hotel. In the morning, you will be transferred to Cam Kim Island by ferry for a few minutes to reach Kim Bong carpentry village. Visit workshop of famous sculpting artist M.Huynh Suong. 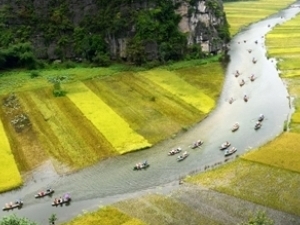 You will then ride by bicycle over the 13-km route towards Duy Vinh mat weaving village. 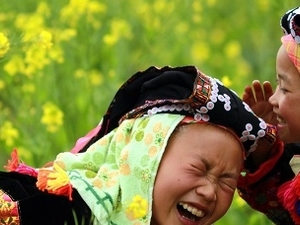 Once in the village, you can discover the traditions and special know-hows, which have been passed on from generation to generation. Finally, cross a small dam to reach the fishing village of Duy Vinh. Return to Hoi An for lunch. In the afternoon, wander around Hoi An Town to explore the quaint cobblestone streets with the centuries-old Chinese houses, the Japanese Bridge, the Chinese Temple, and Phung Hung Chinese-trading house. Dinner on your own. Overnight at the hotel. 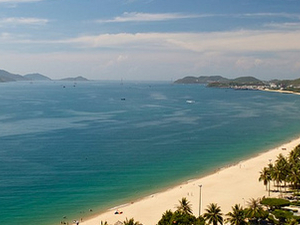 Free at leisure until moving to Danang Airport for an 1 hour flight to Ho Chi Minh City. Welcome by local driver and guide at the airport and transfer to your hotel. In the early evening, experience the nightlife of Saigon the way locals do, from the back of a vintage Vespa scooter to discover the street food. Last stop is a local nightclub (with live music). Overnight at the hotel. 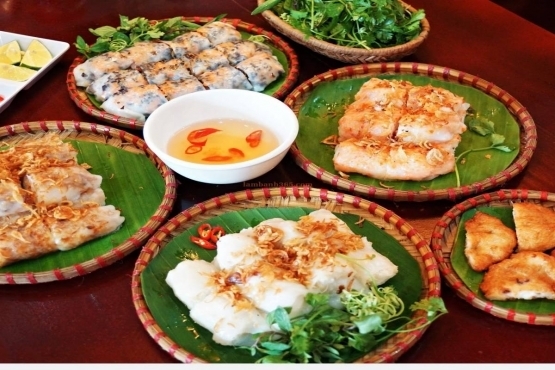 In the morning, participate in the cooking class to discover the culinary art of Southern Vietnam. First, go to the market to choose and buy ingredients. 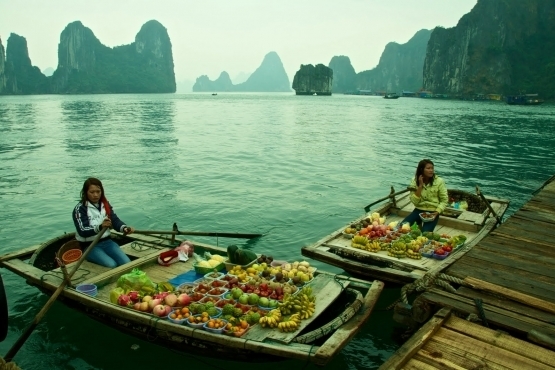 Going to the market is also a good chance for you to experience the daily life of the Vietnamese people. After that, back to cooking class to learn how to cook some local dishes under of your chef. Have lunch with dishes made by you and sample additional dishes prepared by the cooks. In the afternoon, visit some of the historic sites of the city: Cho Lon (China Town) and Thien Hau Pagoda, Saigon Post Office, Notre Dame Cathedral and the Opera House. In the evening, spend 1 hour to watch A O Show (starts at 18:00 or 20:00) - a new kind of art performance commonly acknowledged globally as new circus – in Sai Gon Opera House. 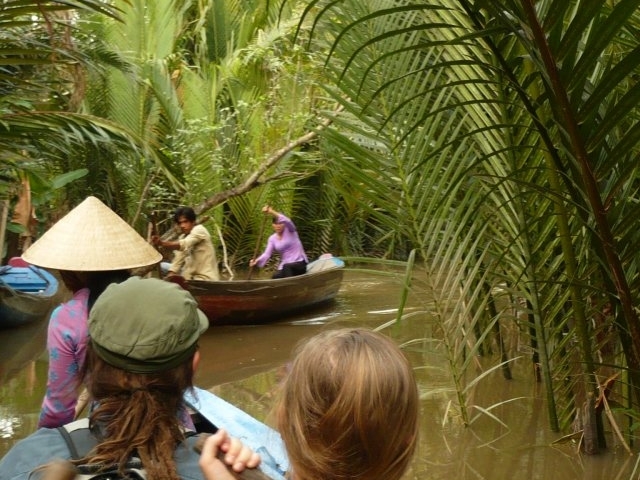 In the morning, depart from Ho Chi Minh City to Ben Tre in the Mekong Delta by bus for nearly 3 hours. When arrive at Phong Nam Pier, get on boat and cruise along the Chet Say River (a branch of the Mekong) and stop at some local workplaces that give you a picture of how the local economy works (include the brick kilns; coconut activated charcoal factory and a coconut processing workshop). 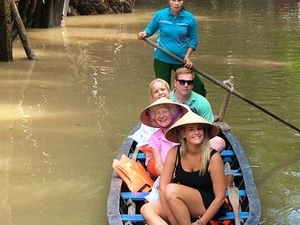 Then cruise through the small canal and stop at a quiet village where you can have a short walk to experience the life of villages in delta area, visit a mat weaving house before boarding your ‘xe loi’ (a kind of motorized rickshaw) or biking into the village where you can see farm, rice fields and vegetable plans… Stop at a local house for a delicious and filling lunch, featuring local specialties as elephant-ear fish and river shrimps. 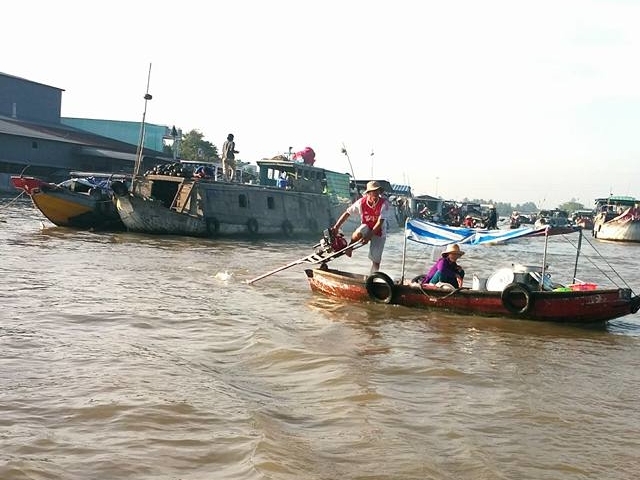 In the early morning, go by boat to visit the Cai Be Floating Market. 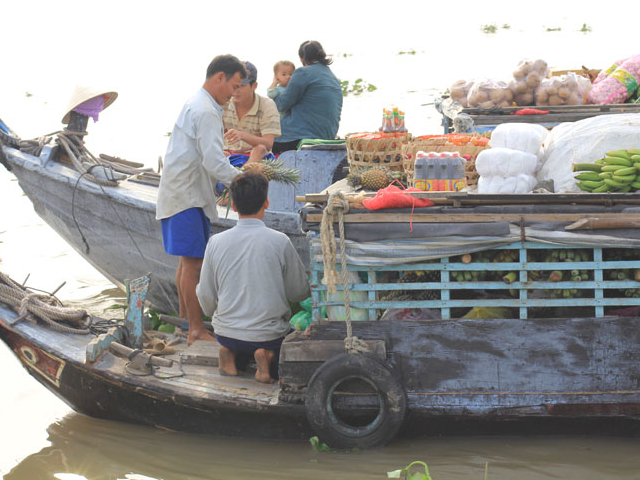 You will a great chance to view firsthand the Mekong Delta’s wholesale trading of locally grown produce. After that stop at a traditional craft village to visit workshops where they make local specialties such as: pop-rice, pop-corn, rice paper, coconut candy, and honey. Take boat trip back to your resort and free at your leisure until checking-out and transfer to Tan Son Nhat Airport in Ho Chi Minh City for your onward flight. Meals on your own. End of services. 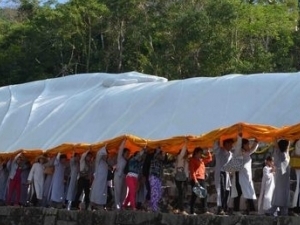 • Less than 2 days of departure date : 100% of the entire cost. Lovely staffs,professional tour operator,amazing tour guide,great local food .